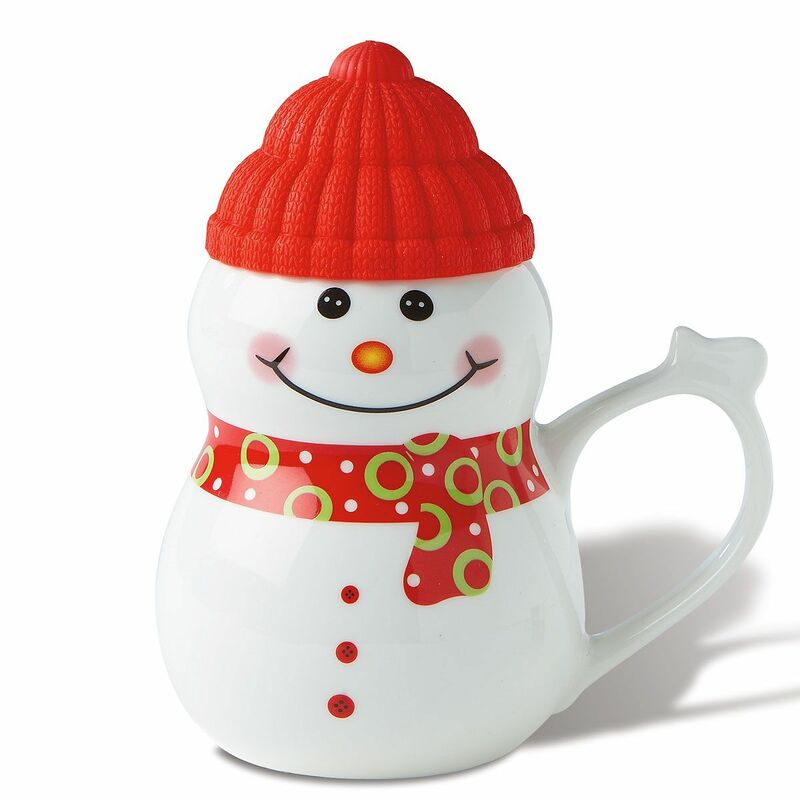 Frosty mug warms your heart. Hat/lid helps keep drinks hot or cold and eliminate spills. Dishwasher safe; holds 16-oz.